To honor a promise made to his dying father, Alric trains as a Defender. For some reason the Swordmaster wishes him gone and his first two bondings end in failure. A failed third one will see Alric banished. His meeting with the older daughter of the Swordmaster reveals a double heart bond, but she has been promised to Petan, the Swordmaster’s favorite. A duel is fought and though Alric can read Petan’s lines of fire, the other dueler cheats and nearly kills Alric. Petan is banished but he knows secret ways into Defenders Hall. Kalia, his now bondmate’s lines are tarnished. 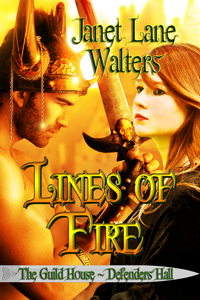 Not only do Alric and Kalia need to find Petan, they must learn how to cleanse her lines. Stay tuned for Jude Pittman on March 3. 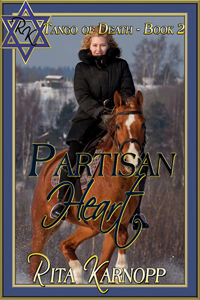 PARTISAN HEART - Book 2 – Tango of Death Series - Poland 1943-During WW II resistance movements occurred in every occupied country by a variety of means, ranging from propaganda to outright warfare and the recapturing of towns, as well as hiding crashed pilots. Find GYPSY SPIRIT Book 1 Tango of Death Series http://www.amazon.com/dp/B009KDY5D6 or http://www.smashwords.com/books/view/241274 and watch for JEWISH SOUL - Book three of the Tango of Death Series soon. Sentenced to ten years for a crime she didn't commit, will Carrie Lang find someone who believes in her innocence? Experience the cold, gray walls, a devilish matron, the prison bully, and a scheme that pits Carrie against the closest friend she has inside. What part will her surprise visitor play in Carrie's bid for freedom?